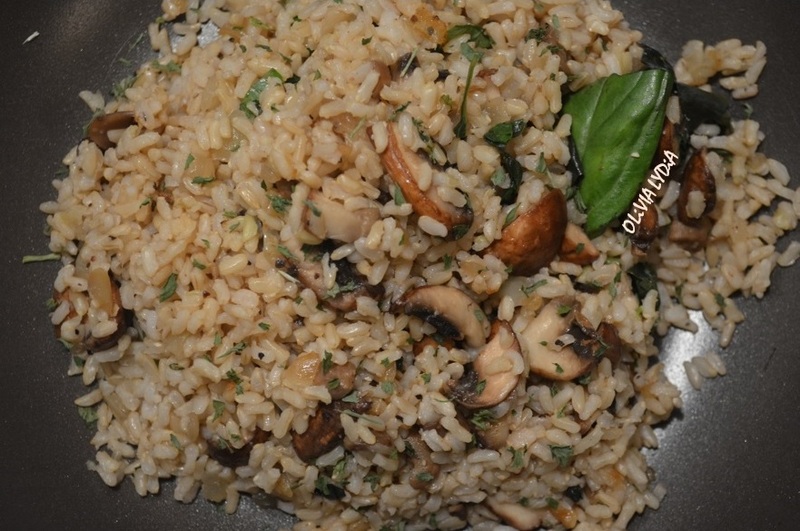 Basil-Baby Bella Brown Rice – Olive For Greens. Why Brown rice? Is brown rice really better than white rice? Yes! Although both are process. Brown is less processed and more nutrition. With brown rice, only the husk is removed. White rice is polished and pre-cooked or parboiled. The bran is also removed from white which is important because it provides us a healthy a dose of fiber. 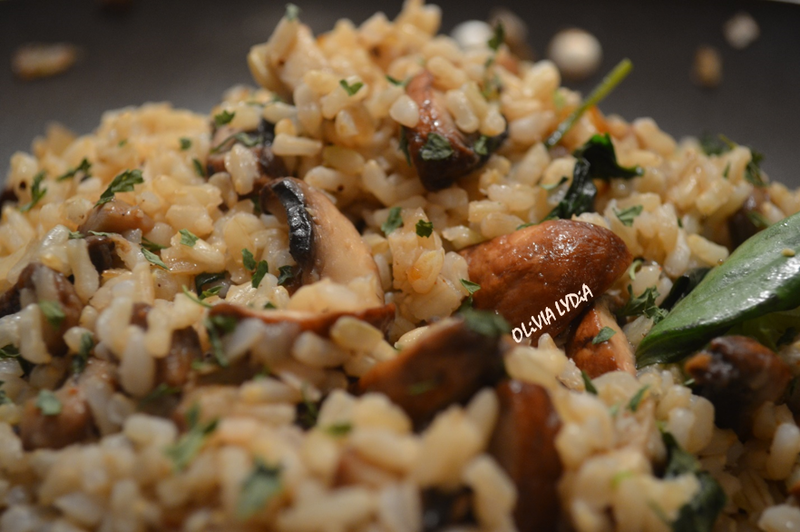 Brown rice can be consumed and substituted in any meal that usually has white rice. But sometimes, we don’t want plain ol’ rice, right? Right! So here’s a simple recipe that will make you say, “Yummy!” This meal is loaded with nutrition. You get digestion assistance along with skin and hair health from the basil- among other benefits! And potassium and vitamin D from the mushroom. On top of all of that, its so good! Give a try for something new or if you are feeling food adventurous! In a small-medium over medium heat pan add the oil, garlic and onion. Sauté until golden. Now add the mushroom stems. Mix in then incorporate the mushroom. Add the nutmeg, salt, pepper and rice. Toss together and lower the heat. Cover for 5 minutes. Turn off heat. Add the basil.